At Life After Debt®, we will assess your options to help you avoid Bankruptcy. We specialise in Part IX Debt Agreements and Informal Arrangements with Creditors, however, sometimes it’s not always possible to avoid bankruptcy. Bankruptcy is designed to be the last resort in debt relief; if you simply cannot pay your creditors and/or come to a compromised payment arrangement, then you may wish to consider bankruptcy and what it might mean for you. Although declaring bankruptcy may seem like a simple solution, it really should be a last resort as it will impact the rest of your life. Our team at Life After Debt® will provide you with advice on how to avoid bankruptcy, and will help you explore every financial solution available. What is the Minimum Amount of Debt to Apply for Bankruptcy? There is no minimum amount of debt for you to voluntarily become bankrupt, however, your creditor(s) cannot make you bankrupt unless your debt is $5000 or more. Can My Bankruptcy Petition Be Rejected? Yes. The documentation is lodged with and processed by the Government Department called AFSA (Australian Financial Security Authority). If the Official Receiver believes that you can pay your creditors and are simply choosing not to pay, then your Petition for Bankruptcy will be rejected. Who Will Manage My Bankruptcy? Once you are declared bankrupt you will need a registered trustee to administer your estate. You can nominate your own trustee at the time of lodging your documents or AFSA will appoint one on your behalf. If you’re considering bankruptcy in Perth or Australia, you may want to understand your rights and responsibilities, some of which are outlined below. Securing and selling your assets, including any assets acquired during the bankruptcy. Determining and collecting the appropriate amount of post-bankruptcy income contributions from you. Examining your prior conduct and investigating whether any financial recoveries are available from your family or other parties, or whether offences have been committed under the Act. Reporting and meeting with creditors. Distributing money to creditors gathered by the bankruptcy trustee. A requirement to contribute part of your income during bankruptcy (above a set threshold) to the trustee. The net value of any motor vehicle you own cannot exceed a set amount ($7,700 at March 2017). Cannot apply for credit above $5,574.00 without disclosing you are an undischarged bankrupt. You cannot manage a company, including acting as a director, without the consent of the Court. Must attend meetings with the trustee and creditors when asked. Required to immediately advise the trustee if you change residential address. Surrender your passport to the trustee and obtain their consent (which may be withheld) to travel overseas. 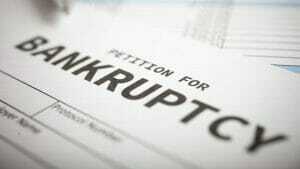 There is no filing fee to petition for bankruptcy. A registered trustee is entitled to minimum level of remuneration. These fees can be taken out of the proceeds of the sale of property. What is the Effect of Going Bankrupt? Credit Status – Your details will be recorded on a Government database called the NPII (National Personal Insolvency Index) forever. The bankruptcy will be listed on your credit file and will remain there for 5 years, or longer in some cases. Length of Bankruptcy – Generally, bankruptcy lasts for 3 years. If your trustee lodges an objection, your bankruptcy period can be extended up to 5 or even 7 years. An objection would usually only be lodged if you were not co-operating with, or deliberately obstructing, your trustee’s administration of your bankruptcy. What Do I Have to Pay Towards My Debts? – During the bankruptcy period, your income and assets are ‘assessable’, that is they will be assessed by your trustee to check if you are required to make contributions towards your debts. If you earn over the threshold amounts you will be required to make contributions. If you gain an inheritance, windfall or even a lottery win, it is classed as assessable income, from which you may be required to make contributions from. If you do not earn above the threshold limits, you will not be required to make income contributions towards your debts. Your assets will be assessed as to whether they will be disposed of for the benefit of your creditors; this can include (but not limited to) your property, car, boat, shares, artwork. You may be allowed to retain a vehicle up to a certain value, as well as personal effects, household goods and tools of trade up to a certain value. • You can still work and even be self employed, as long as it is as a Sole Trader or Partnership. • You are prevented from being the Director of a company whilst bankrupt. • If you are in a profession which prohibits an Act of Bankruptcy or Insolvency, then your employment contract may be affected. You are required to surrender your passport during bankruptcy. If you need to travel overseas during the period of your bankruptcy, you must obtain written permission from your trustee prior to travelling. In order to petition for your own bankruptcy, you must complete and lodge the following forms with AFSA or through your nominated registered trustee. If you are voluntarily becoming bankrupt, then you must complete a Debtor’s Petition form. NB: If a creditor has already petitioned to the Court to make you bankrupt, this is not required. Click here for a Debtor’s Petition Form. You must also complete the Statement of Affairs which sets out your whole financial position. It will include details of all debts, income and assets (click here). It is necessary for you to collate all of the relevant information you will need to complete the Statement of Affairs; this will include the name, address and amount owed to each creditor, details of all income, assets and monies owed to you. Important: There are severe penalties, including terms of imprisonment, for failure to be completely transparent. If you fail to disclose or purposefully conceal and/or unlawfully dispose of property or items of value, you may be prosecuted for attempting to defeat creditors. Before making any decisions regarding your financial situation, we recommend seeking counsel from a reputable institution. AFSA (Australian Financial Security Authority) is the government body responsible for the processing and regulation of the Insolvency Sector. Their website is a comprehensive resource for those considering bankruptcy. At Life After Debt ®, we offer general bankruptcy advice in Perth for those who require it. To find a way to get out of debt and avoid filing for bankruptcy, contact us for a free consultation.